TW Enterprises, Inc. also offers Toshiba’s line of Uninterruptible Power Systems. These backup systems can be used for a wide range of applications, from protecting sensitive equipment to offering stable backup power for essential operation. TIC produces a versatile range of single-phase and three-phase UPS solutions and accessories that are hallmarked for their outstanding performance and reliability. These systems are suitable for a wide range of applications including datacenters, telecommunication, retail, healthcare, broadcasting, and industrial. 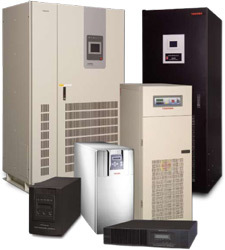 Toshiba has more than 25 years of experience in UPS manufacturing.